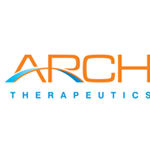 FRAMINGHAM, Mass., Dec. 20, 2018 (GLOBE NEWSWIRE) -- Arch Therapeutics, Inc. (OTCQB: ARTH) ("Arch" or the "Company"), developer of novel liquid, gel and solid hemostatic and wound care devices, will be featured as a presenting company at the 11th Annual Biotech ShowcaseTM 2019 Conference. The conference is being held on January 7-9, 2019 at the Hilton Union Square in San Francisco, CA. Chief Executive Officer, Terrence W. Norchi, MD, is scheduled to provide a corporate update on Tuesday, January 8 at 9:00 AM PST. Dr. Norchi and Mr. Richard Davis, Chief Financial Officer, will be available to meet with investors who are registered to attend the conference. If you are an investor and wish to attend the Company’s presentation or schedule a meeting, please click the following link: https://ebdgroup.knect365.com/biotech-showcase/. To access the live webcast, please visit: https://event.webcasts.com/starthere.jsp?ei=1225992&tp_key=228e19ada8.